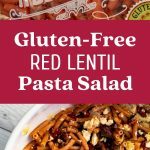 You’re going to love this easy lentil pasta salad, if you’re looking for an easy gluten-free dinner or lunch recipe that takes less than 20 minutes to make. 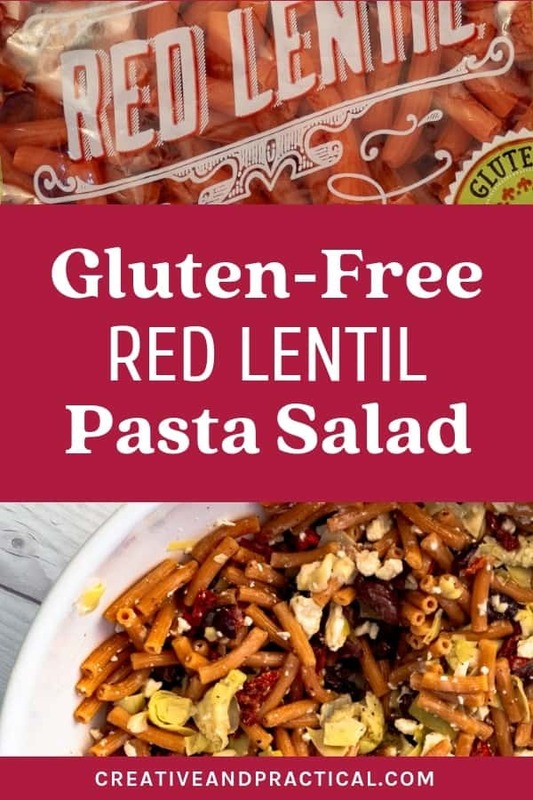 The red lentil pasta salad is pure goodness on the plate and has made it onto our family’s menu rotation. It’s incredibly easy to make – I mean literally takes less than 20 minutes and requires no special cooking skills. 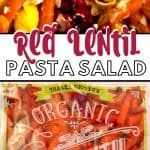 The Red Lentil Pasta Salad with a Mediterranean twist checks all those boxes! 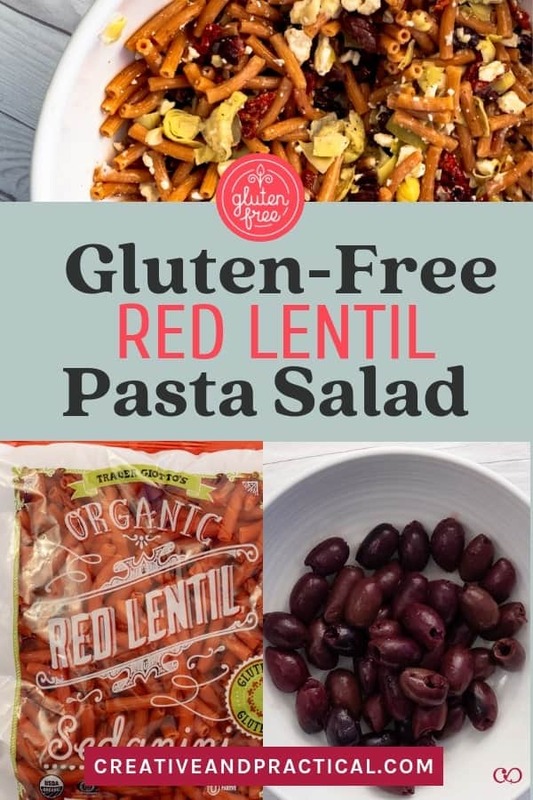 One of the things I love about the red lentil pasta salad is that tastes great even if you don’t have every ingredient on hand. I’ve made it with and without olives as well as with and without artichokes. Both times it was still great. 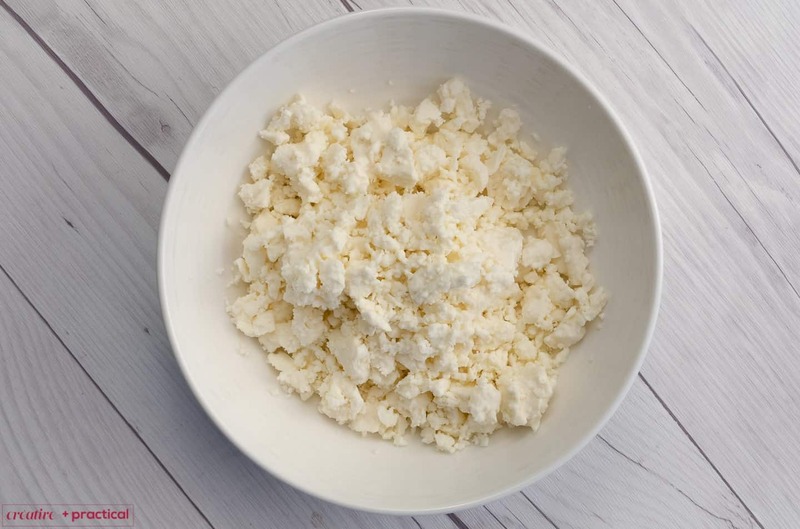 At the end I’m adding crumbled Feta cheese. And it’s something that my family enjoys that the salad is just as good without the cheese. So if you are a vegan, just skip that step. Thus far we have no plans to eat exclusively vegetarian or vegan, but most of our diet is plant-based. If you eat fish, you can easily take this dish up a notch and serve it with some broiled salmon. Check out my super simple and delicious broiled salmon recipe – it pairs exceptionally well with the Mediterranean inspired red Lentil Pasta Salad. We’ve made this dish dozens of times by now and also found that it keeps well for a day or two. Should you have any leftovers, I recommend you take the salad out fridge 15 minutes before serving. This way the dish can slowly rise to room temperature and be even more delicious on the second day. 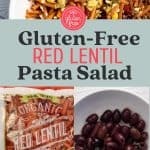 This gluten free salad is a great option for a quick, healthy, and nutritious lunch or dinner. Skip the Feta cheese if you want a vegan dish. Slice your olives and add them to the artichoke hearts. 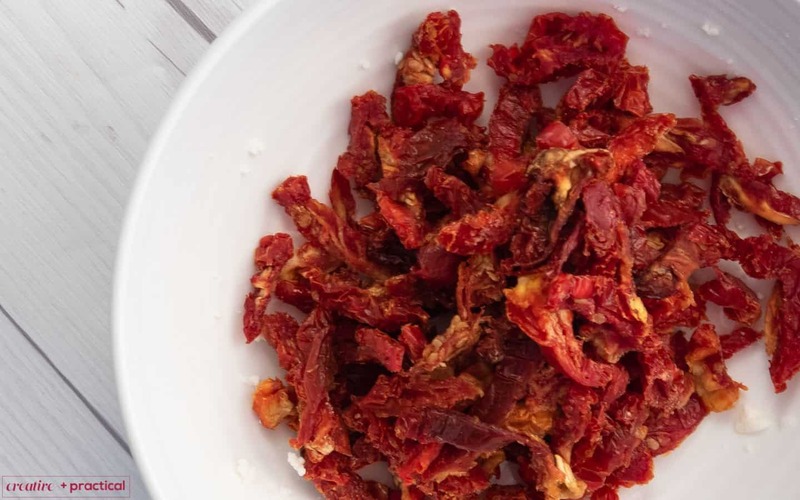 Unless you have some large pieces, the sun dried tomatoes don’t require much chopping. Add them to the olives and artichokes. Once the Pasta has cooked, drain and chill with cold water. 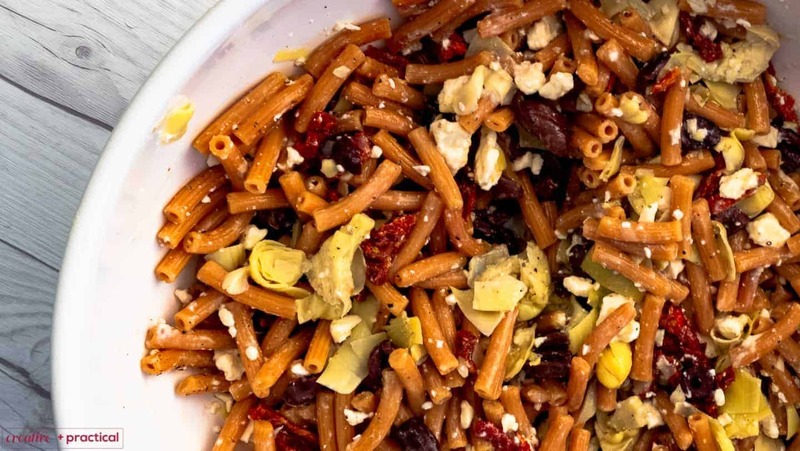 Add the pasta to your chopped artichokes, olives, and sun-dried tomatoes. Add your gluten free Champagne dressing and season to taste. Typically, I’ll add a dash of black pepper. 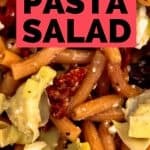 Optionally, you can sprinkle your pasta salad with some crumbled feta cheese. I just wanted to add a word about the ingredients. The closest grocery store to my house is Trader Joe’s and we buy 90% of our groceries at Trader Joe’s. But that doesn’t mean you have to use Trader Joe’s products. 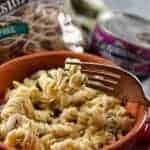 If you don’t live near Trader Joe’s you can, for instance, get this red lentil pasta from Walmart or these (already quartered) Reese’s Artichoke Hearts from Target. And if you don’t like store-bought dressings you can easily make your champagne vinaigrette. The point is that this salad has a lot of ingredients from one type of store, but you’ll have no trouble finding similar products at your local grocery store. 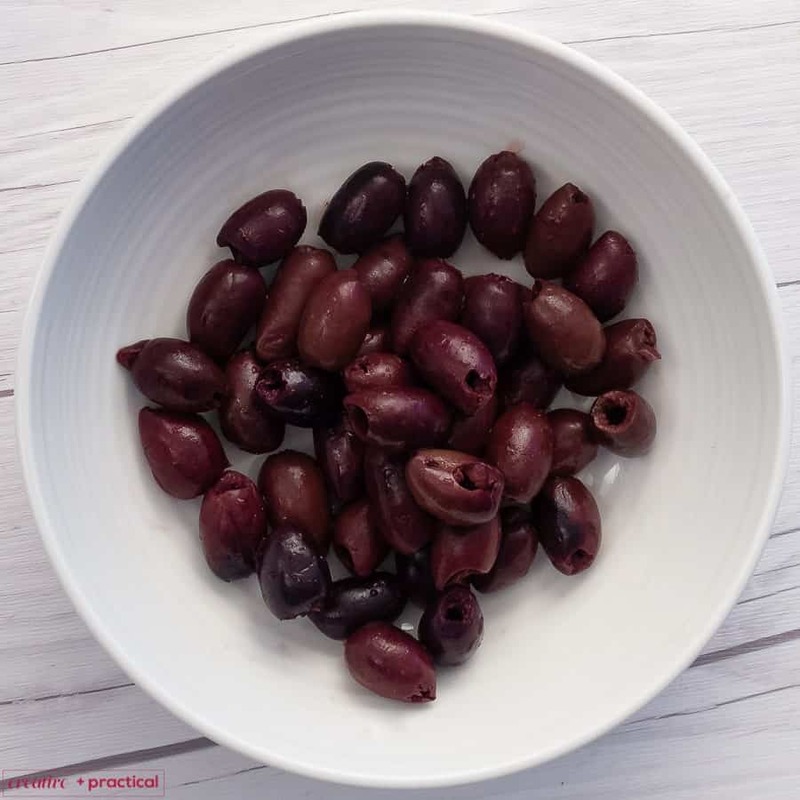 Olives are a nutritious, gluten-free, and delicious. I always prep a few extra olives, because involuntarily someone in my house will stop by and snack. Please note, I am not a medical professional and I don’t have a degree in nutritional sciences. 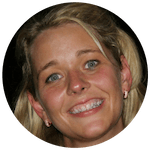 I enjoy sharing my recipes and take you on a journey to a healthier life. Please check out my Disclaimer Policy for more details. Ooooh this looks lovely! I am always looking for healthy, gluten free recipes. Thank you! Thank you! 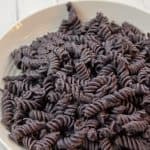 If you like this recipe, you’ll probably also enjoy the Black Bean and Mushroom Pasta. My mouth is watering! 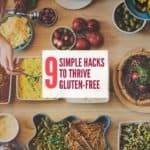 I always look for new and easy gluten free recipes. This is fantastic!! Can’t wait to make it. 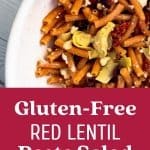 Even my toddlers loved this red lentil pasta salad. I can’t believe it’s Gluten-free!